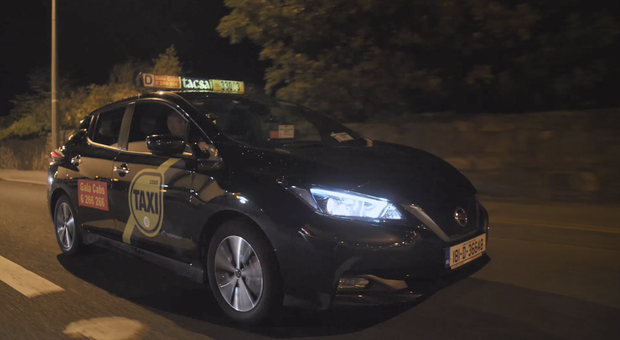 “You’ll never make it work” – that was what one Dublin taxi driver was told when he made the switch to an electric vehicle (EV). It was understandable if there was some scepticism among his fellow taxi drivers. Paul Clooney regularly clocks up 2000km on a busy week and there’s still a perception that EVs aren’t built for covering long distances. However, Paul had done his research on the Nissan LEAF and he knew that it was the right choice. One of the big attractions of the Nissan LEAF was the €10,800 in Government grants for SPSV drivers who make the switch to a new EV. Then there was the chance to slash his annual fuel bill of up to €10,000 by going electric. When he factored in servicing costs of €4,000 a year for his diesel car, it only made sense to make the change. Long hours are just a part of the job for Paul. Every summer, he goes with his wife and three kids to stay in their apartment in Fuerteventura in Spain. To make that happen, he works 12 hours a day for the other 10 months of the year. Those long hours have also translated into some hefty fuel and servicing costs over the years. 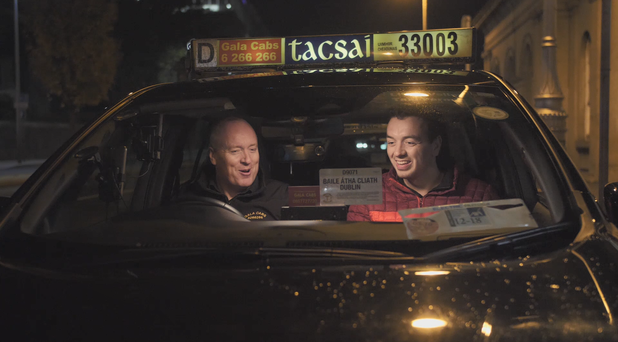 A typical working day for Paul starts at 3.30am on the taxi rank at the Liffey Valley Shopping Centre. Some forward planning ensures that he stays charged up throughout the day. “I set out each day from home with the car fully charged and stick to the ‘ABC’ rule during the day – “Always Be Connected’. I top up regularly throughout the day and have a few regular spots where I can fast-charge, so I’ve no issues with range and I’ve never had a problem finding a charger. After a long day on the road, he charges the car on his home charger so that it’s ready to go in the morning. Aside from the financial benefits, the Nissan LEAF can also deliver a great driving experience, which is important for someone who spends his entire day behind the wheel. Paul finds the ePedal to be a particularly useful feature in Dublin traffic. The stop-start nature of driving in Dublin’s congested streets does have one useful side effect when you’re driving in an EV. Paul hasn’t looked back since making the switch. After just four months, he’s convinced that he’ll never go back to a diesel car and he believes that it’s only a matter of time before everyone is driving an EV. To find out what it’s like to drive the world’s best-selling electric car, we talked to Nissan LEAF drivers in Ireland. You can also find out how making the switch to electric helped one Kildare-based family make huge savings and how a businessman traded in a convertible for his Nissan LEAF. To experience electric driving and learn more about how much you could save by switching to driving a 100pc electric Nissan LEAF, book your test-drive today.